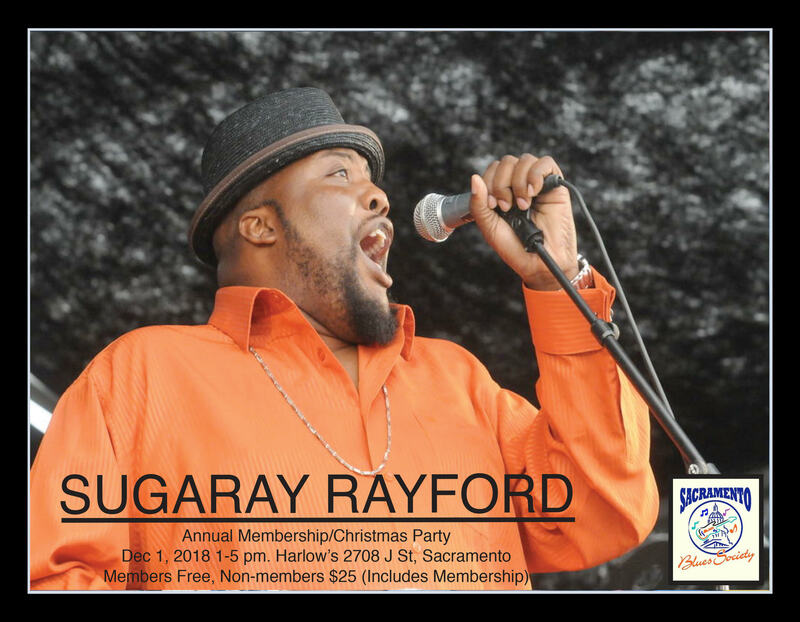 "SUGARAY" RAYFORD IS AN AMERICAN ELECTRIC BLUES SINGER AND SONGWRITER. HE HAS RELEASED FOUR ALBUMS TO DATE AND IN 2017 WAS NOMINATED FOR 4 BLUES MUSIC AWARDS. The Sugaray Rayford Band is only one of his projects. With the help of Blind Faith Records, Sugaray presents his debut soul album project, ‘The World That We Live In.' This collection of ten original songs carries the gift of universal appeal that towers above tastes and trends, and it's an album destined to become an instant classic. The World That We Live In is all original material with the feel of 1960-70's soul. A full band with horns, strings and back-up vocals complete this old school feel. After dabbling in blues, Suga realized that the blues was where his heart and soul belonged. So after some soul searching he left the Urban Gypsys and became lead vocalist for Aunt Kizzy’z Boyz, a Temecula area blues band. Shortly after joining the band in 2004, they released their first CD Trunk Full of Bluez. This band was hungry and did over 200 gigs a year over the next few years and their popularity rose exponentially. Aunt Kizzy’z Boyz represented San Diego (Blues Lovers United San Diego) in Memphis Tennessee January 26th- 28th, 2006 at the International Blues Challenge (IBC), and brought home the 2nd place prize. The band began playing higher profile gigs and in 2007 released their 2nd CD It’s Tight Like That. In September 2008, the Boyz won the LAMN Jam Grand Slam Urban Artist of the Year title by a landslide; they beat out hundreds of competitors.